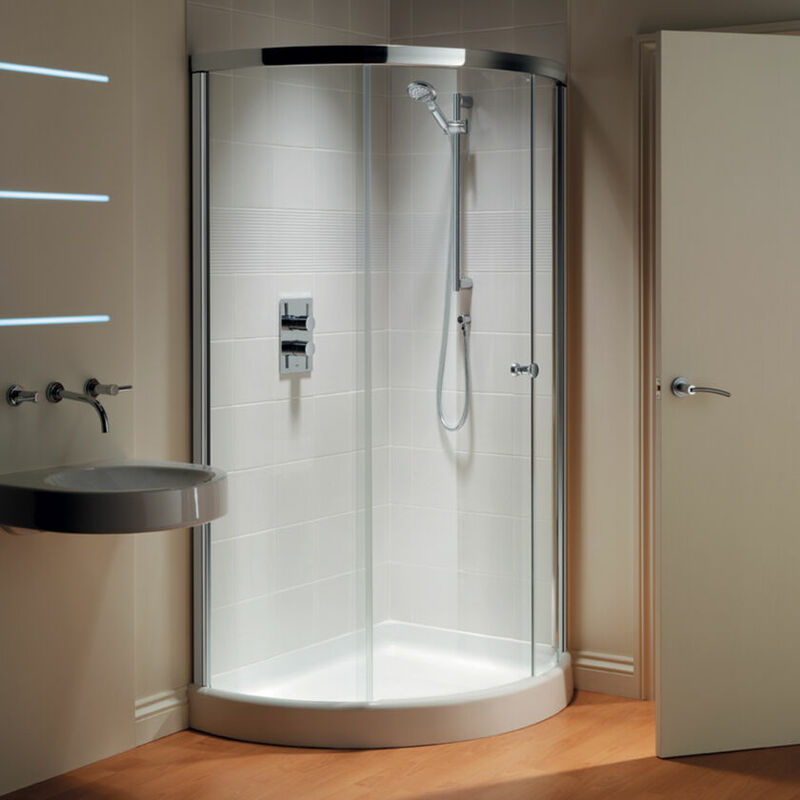 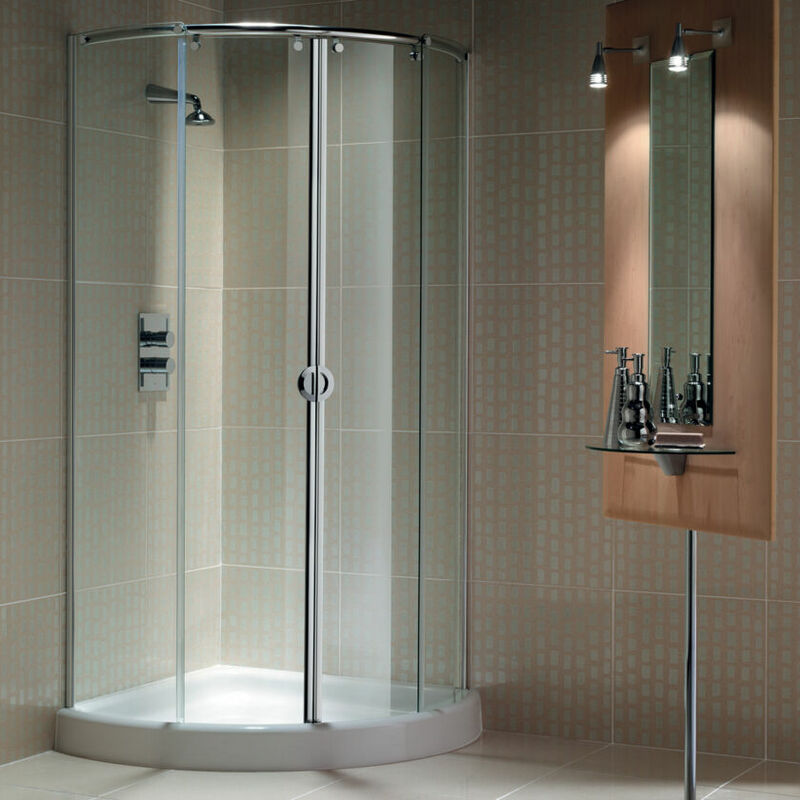 A stylish all-in-one Walk In solution for Recess with an integrated Shower Tray and optional integrated Brassware. 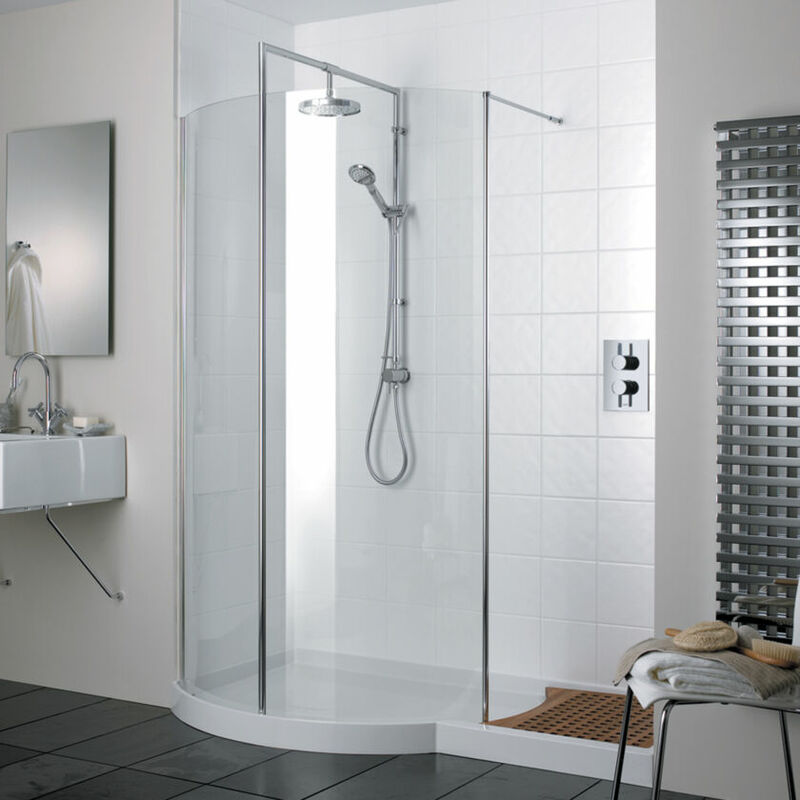 Glass is located inside the Shower Tray, eliminating the need for silicon sealant along the base of the surround, therefore retaining its clean look. 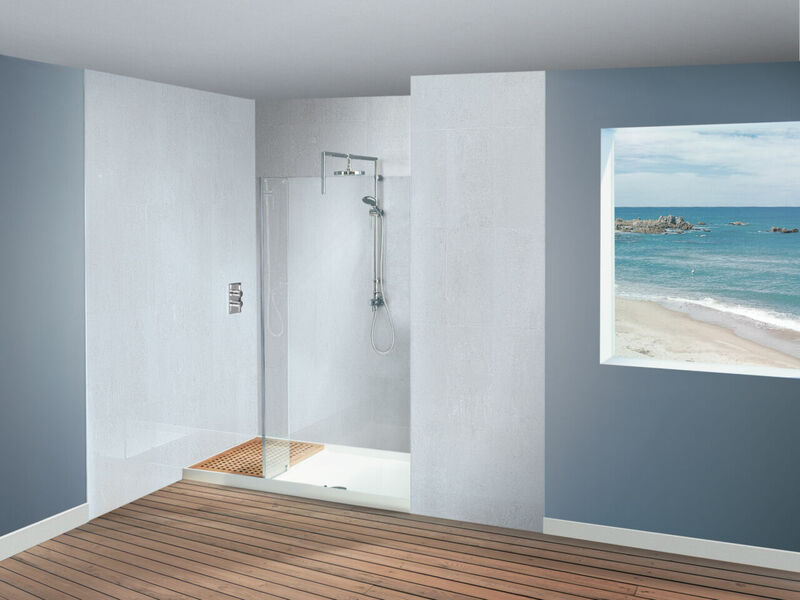 There is a choice of Teak or white decking to sit in the drying area, adding a spa-like feel to the space.